Backwoodsman stocks a range of maintenance products suitable for the manufacturers we principally deal with and for supply to customers within our catchment area. A small selection of these are shown below. Please contact us on 01631 720539 for further information. 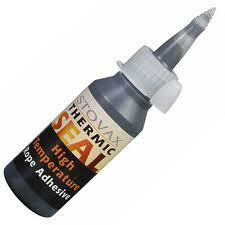 Stovax Thermic Seal – high temperature rope adhesive for the replacement of door seals. FlexSeal – a cartridge (300ml) applied silicone based sealant designed for use where a flexible bond is required together with high temperature resistance. This adhesive gives excellent adhesion between most substrates and, because of its high elasticity, is particularly suited for gap-filling applications and jointing materials of different thermal expansion characteristics and where vibration is a problem. Provides excellent adhesion to metals, glass, ceramics, polymers etc. , and is resistant to many solvents . 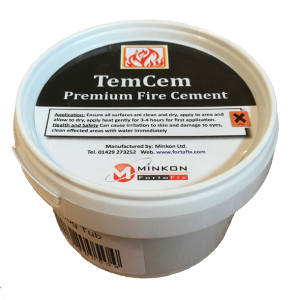 It provides a high temperature flexible joint for flues, ducting etc whilst being resistant to weathering and ageing (making it suitable for external use). Has a wide operating temperature range up to 350°C. 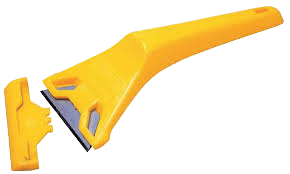 Stanley Window Scraper – very useful for removing stubborn soot build up on the door glass of a stove. Calfire Stove Glass Cleaner – Removes tar, soot and creosote stains. Available in a 500ml bottle.